WASHINGTON — Saving the James Webb Space Telescope (JWST) — an infrared deep space observatory now expected to cost $8.8 billion — means that some other NASA science missions slated for launch after 2015 will have to be delayed, the U.S. space agency acknowledged in a report delivered to Congress in late October. NASA, however, did not say in the report which missions might be delayed. 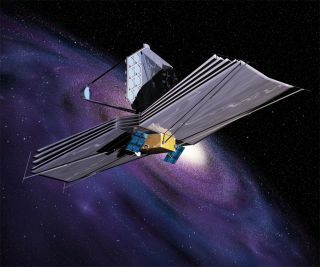 "That is still in discussion, even for 2012, within NASA and the administration," JWST Program Manager Rick Howard told members of the NASA Advisory Committee's Science Committee during a Nov. 1 conference call. Howard also held to the line, which NASA has repeated since the summer, that specific offsets to pay for JWST will not be identified until U.S. President Barack Obama delivers his 2013 budget request for NASA to Congress. That traditionally takes place in February. NASA was legally bound to deliver the so-called breach report because JWST has exceeded its baseline cost estimate by more than 30 percent. Since 2009, the telescope's projected development cost has risen from $2.58 billion to nearly $6.2 billion, a 140 percent increase, according to the report, a copy of which was obtained by Space News. Howard said NASA delivered the 10-page breach report to U.S. lawmakers Oct. 24. In the report, NASA also acknowledged for the first time that building and operating the long-delayed flagship telescope for five years will now cost $8.835 billion, or about $100 million more than the agency conceded in August. NASA still envisions launching the telescope aboard a European rocket in October 2018, according to the report. For 2012 through 2016, JWST will need a total of nearly $3.1 billion, or about $1.2 billion more than the White House previously budgeted for the project for that five-year period. For 2012, the report says, JWST will need $527.6 million, or about $154 million more than the White House requested for the project next year. Under the revised plan, JWST spending would peak at $659.1 million in 2014 before declining over the following two years. NASA has already increased JWST's 2011 funding by $44 million "without significant impact to other science projects," the breach report says. NASA science missions slated to launch several years from now, however, will not be so lucky. "The impacts being assessed in Science would delay some future missions, which are currently planned for launch beyond 2015." Paying for JWST also will entail cutting back the agency's Cross-Agency Support budget to its 2010 level, a reduction the report says will require the agency's field centers to layoff approximately 360 on-site support contractors nationwide. The Senate Appropriations subcommittee that funds NASA included a $8 billion cap on JWST development costs as a condition of restoring funds for the telescope that were deleted by the House in its 2012 NASA spending plan. Senate appropriators have proposed funding JWST at $529.6 million in 2012, a sum that includes the increase NASA says it needs to make a 2018 launch. House appropriators, on the other hand, proposed defunding Webb altogether. Neither chamber has approved a 2012 spending bill that includes a NASA budget, despite the fact that the U.S. government's 2012 budget year began Sept. 30. The federal government is currently running on a temporary spending measure that freezes funding at 2011 levels. Senate appropriators have proposed funding JWST at $529.6 million in 2012, a sum that includes the increase NASA says it needs to make a 2018 launch. House appropriators, on the other hand, proposed defunding Webb altogether. The full Senate approved its version of NASA's 2012 budget on Nov. 1 as part of a "minibus" appropriations package that combines three of the 12 traditional federal spending bills. That measure will now be sent to the House for consideration. The U.S. government is currently running on a temporary spending measure that freezes funding at 2011 levels. The 2012 federal budget year began Sept. 30, but Congress had not finished work on any appropriations bills at that time.